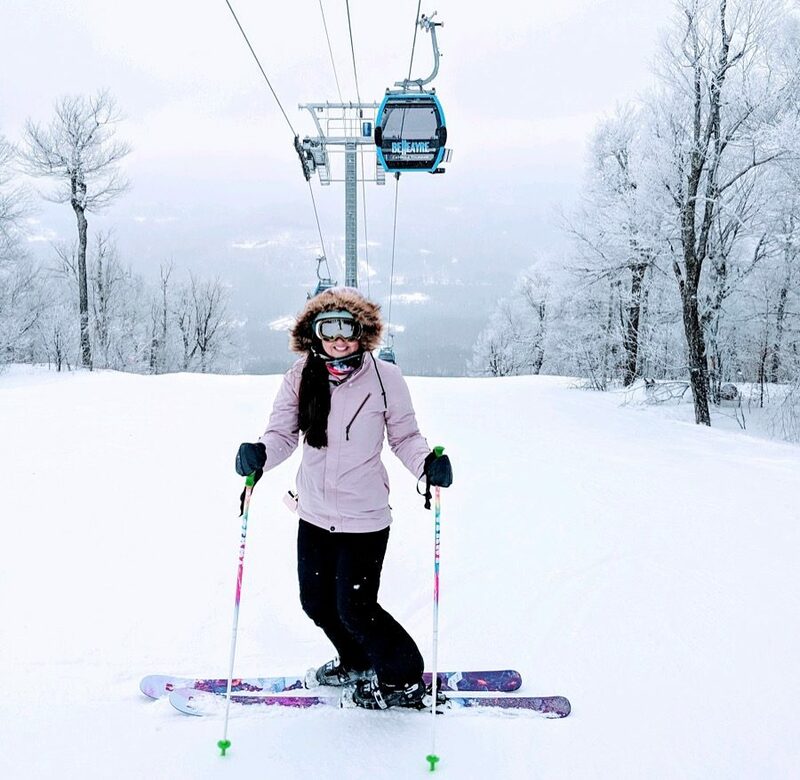 I am Haley Ripa a I SKI NY blogger for this ski season! I will be traveling all around NYS and blogging about my experiences all season long! As a senior at SUNY Brockport, I double major in Recreation and Leisure Studies with a concentration in Tourism Management and Dance. I am interested in stepping into the ski industry once I graduate because of my love of skiing and I am very excited to learn more about the industry this winter. I have skied since I was 3 years old and have loved the sport ever since. I started at my local ski mountain, Holiday Mountain and then my family started to go to Belleayre Mountain every weekend. I then joined the ski racing program and became a part of the Belleayre Mountain Ski Racing Association. During my high school years is when I found my true passion for skiing and ski racing. I skied on the Monticello High School Varsity ski team, during the week and represented Belleayre Mountain on the USSA race courses on the weekends. I skied every single day and raced almost every weekend. It was something that consumed my life and I loved it. The thrill and speed of it all kept me hooked to the sport. Skiing allowed me to travel to new mountains and explore more ski areas. For the past few winter breaks I’ve been in college I have worked with the Belleayre Mountain Race Program coaching the sport and sharing my passion. While my racing days may be over, coaching and being around courses and racers has made the transition from ski racer to recreational skier a little easier. It excites me knowing that my athletes love the sport as much as I do. Skiing has helped me grow into the person I am. I learned about failure, success, discipline, goal setting and how to be the best skier and person that I can be. Skiing has always been an important part of my life and I look forward to the season all year round. I have skied many mountains in NY thanks to my racing adventures. I love the feel of the mountains and the passion for the sport that NY ski resorts always seem to have. I Ski NY has given me a unique opportunity to travel NYS and experience each ski mountain. In my posts I will talk about my experience, the mountain as a whole and some things I learn about the mountain through my time there. I am really excited to be a part of I Ski NY and I can’t wait to head to my first mountain, Windham Mountain December, 21.
as well as Facebook! And follow my blog! Ski you on the slopes!